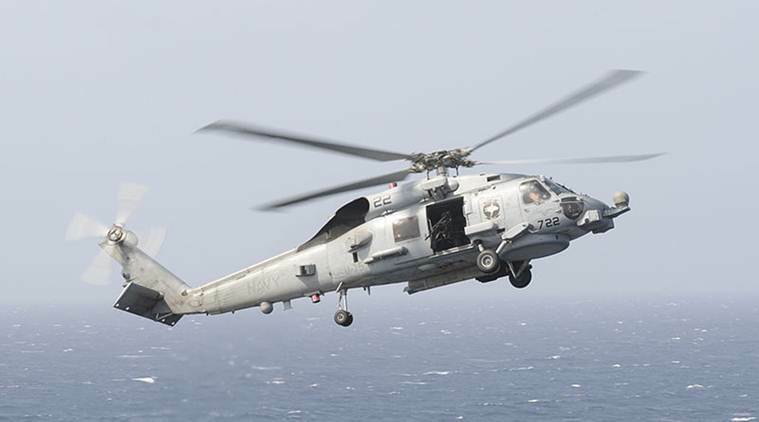 The Trump administration has approved the sale of 24 multi-role MH-60 Romeo Seahawk helicopters to India at an estimated cost of 2.4 billion US dollars. The Sikorsky SH-60/MH-60 Seahawk (or Sea Hawk) is a twin turboshaft engine, multi-mission United States Navy helicopter based on the United States Army UH-60 Black Hawk and a member of the Sikorsky S-70 family. Able to deploy aboard any air-capable frigate, destroyer, cruiser, fast combat support ship, amphibious assault ship, or aircraft carrier, the Seahawk can handle anti-submarine warfare (ASW), anti-surface warfare (ASUW), naval special warfare (NSW) insertion, search and rescue (SAR), combat search and rescue (CSAR), vertical replenishment (VERTREP), and medical evacuation (MEDEVAC). In August 2018, India’s Defence Ministry approved the purchase of 24 MH-60R helicopters to replace fleet of Westland Sea Kings. AGM-114 Hellfire missile, 4 Hellfire missiles for SH-60B and HH-60H and MH-60R, 8 Hellfire missiles for MH-60S Block III.